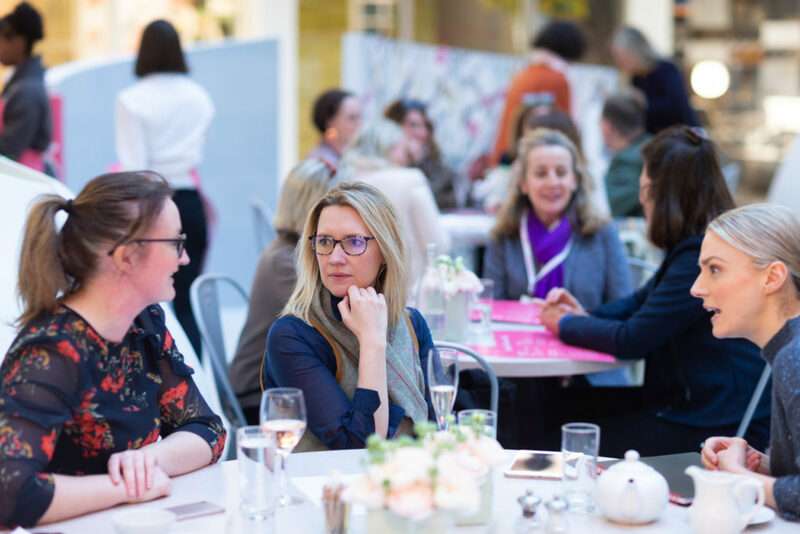 With registration up by 30%, it is no surprise that London Design Week 2019 proved to be the busiest show to date at Design Centre, Chelsea Harbour. 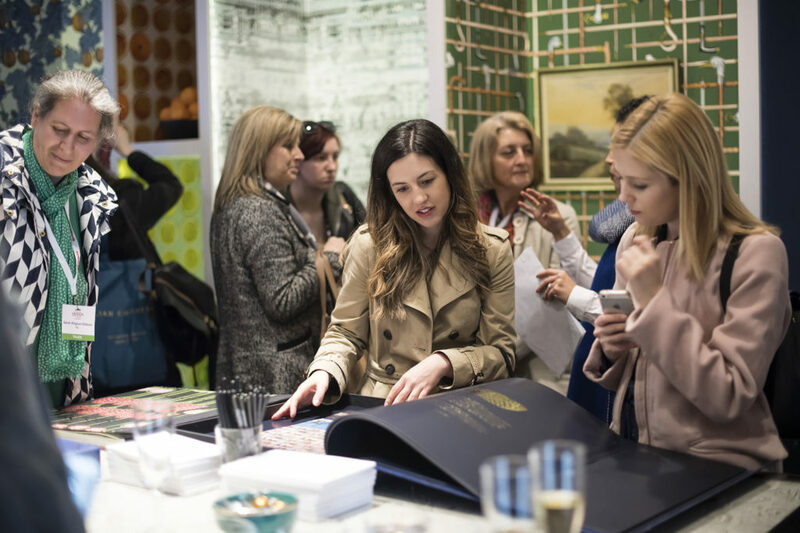 Visitors flocked for six days of new launches and designer collaborations; meet-the-designer sessions; design discovery tours; artisan demonstrations, expert guidance and experiences, unseen anywhere else. 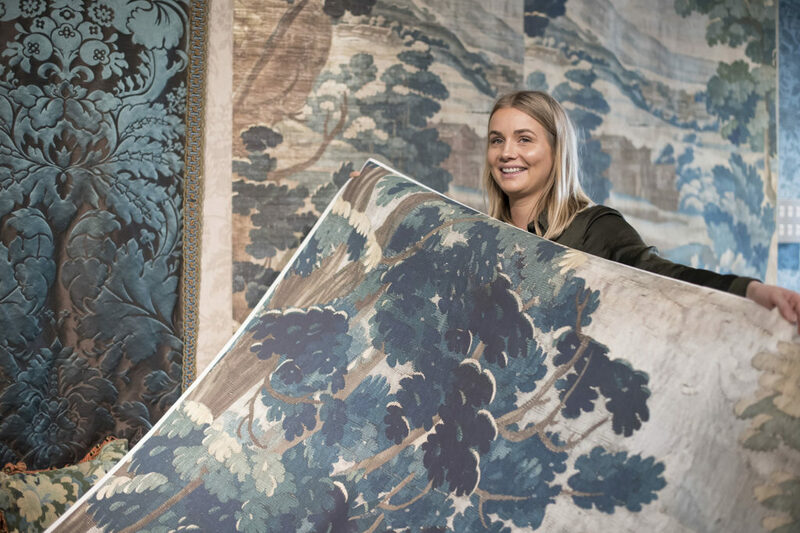 The latest collections inspired with sophisticated globe-spanning, era-leaping designs that referenced history, travel, colour and craftsmanship, with creative excellence an underlying theme. 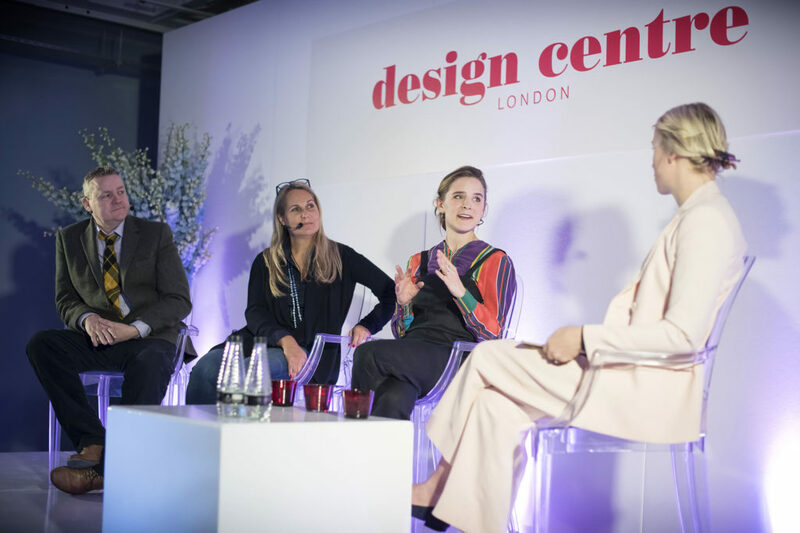 On the main stage, Conversations in Designs excelled with a raft of international stars including Steven Gambrel, Kit Kemp, Beata Heaman, Russell Sage and Francis Sultana, to name but a few, who shared their knowledge to capacity audiences. (The session on Instagram sold out within 36 hours). 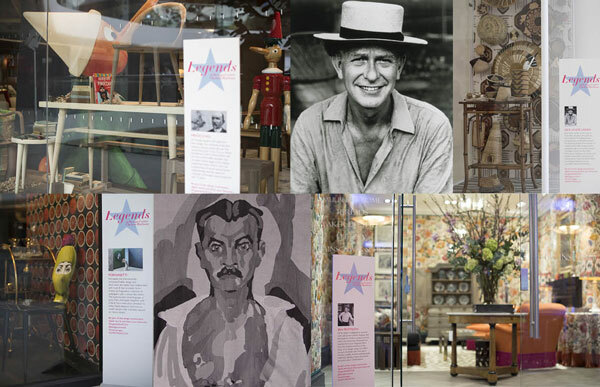 ‘Legends’ saw showroom windows and showcases at their best, featuring photography, playful touches and eclectic points of inspiration. 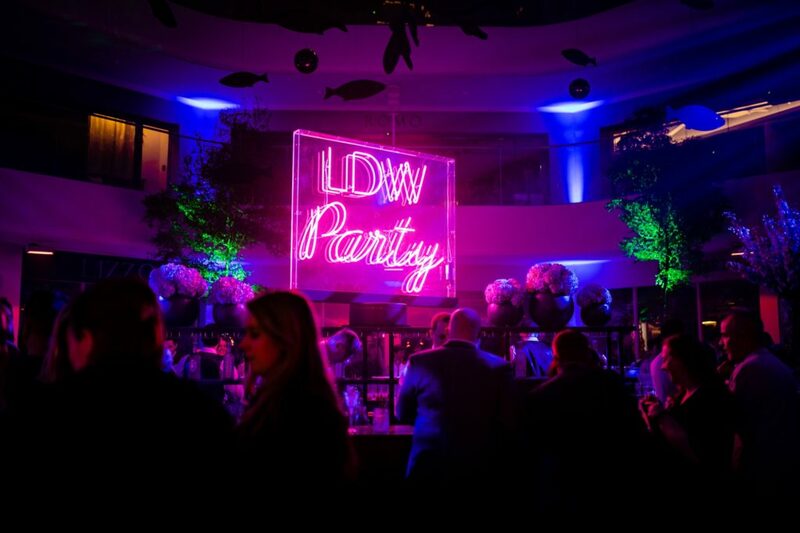 The London Design Week 2019 party was a popular spot. Evoking a glamorous beach club, design denizens rubbed shoulders with a stylish crowd – all to laidback tracks and an overall cosmopolitan vibe. Guests enjoyed simple yet sophisticated classics with a twist; think sugar snap martinis and crab croque monsieurs. The starfish lounge was the place to chill with lounge seating, real sand and driftwood for that barefoot-luxe feeling. 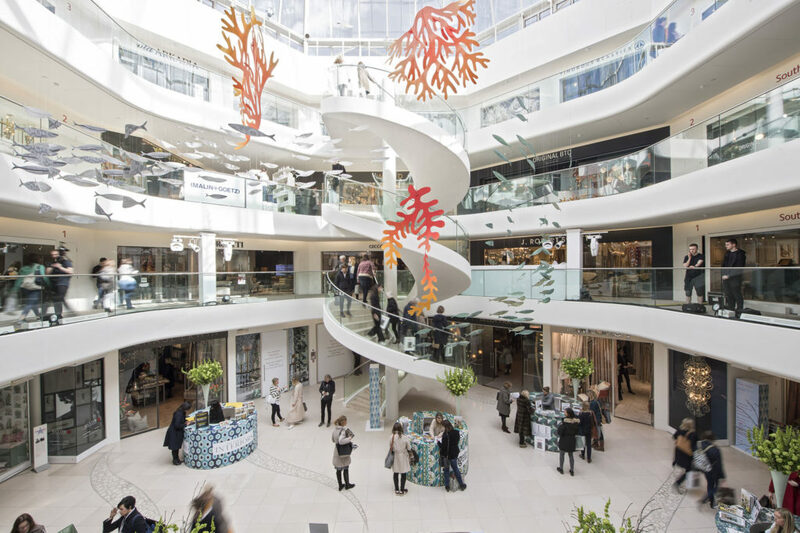 Overhead the ‘Shoal’ aerial installation featuring lively groups of paper fish darting amid colourful, UV coral celebrated wider themes – the bringing together of design lovers to Design Centre, Chelsea Harbour, as well as a growing respect for the beauty and diversity of the ocean. The ‘Legends’ initiative celebrated collaborations, and for many, the starting point was the photographic archives of Iconic Images. Through the lens of international photographers, images featuring luminaries from fashion, rock and the arts were creatively matched with the latest designs from the showrooms. 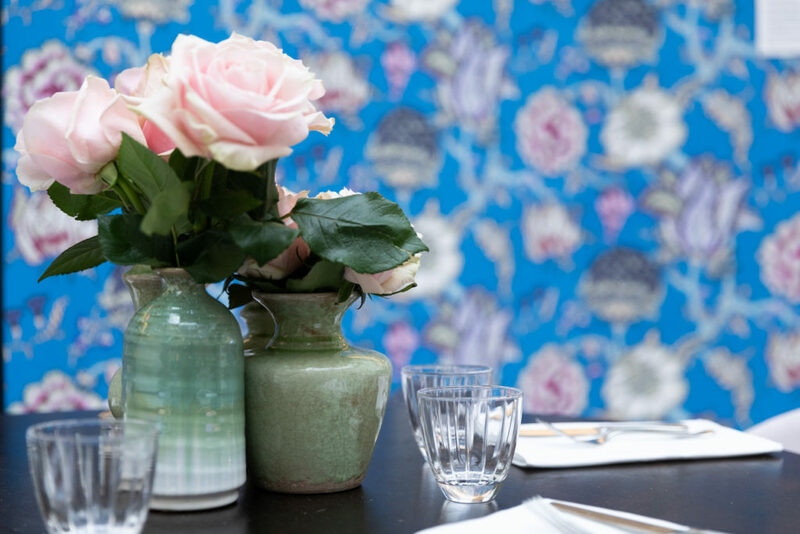 Phillip Jeffries teamed up with Irene Gunter of Gunter & Co who chose a photograph by Norman Parkinson of Dutch fashion model Apollonia Van Ravenstein, pairing it with the new ‘Shangri La’ wallcovering and wall-mounted Delft plates. “It answered the brief beautifully…and was totally evocative of an era and I want to be in it,’ said Wallpaper* editor-at-large Suzanne Trocmé who judged the competition. She also gave two Highly Commended awards. 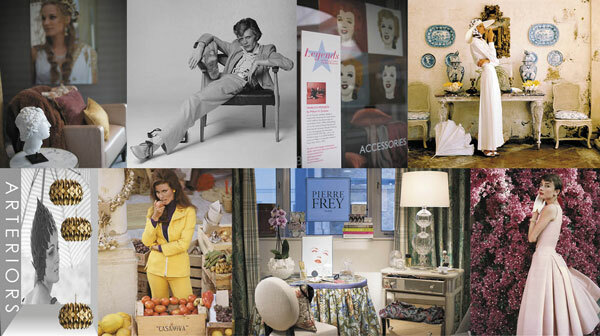 At George Spencer Designs, Sophie Ashby of Studio Ashby used a striking image Bianca Jagger in a scheme incorporating Zak+Fox fabrics and wallcoverings; while interior designer Cassidy Hughes incorporated an image of singer PJ Harvey by Kevin Cummings into Altfield’s window. 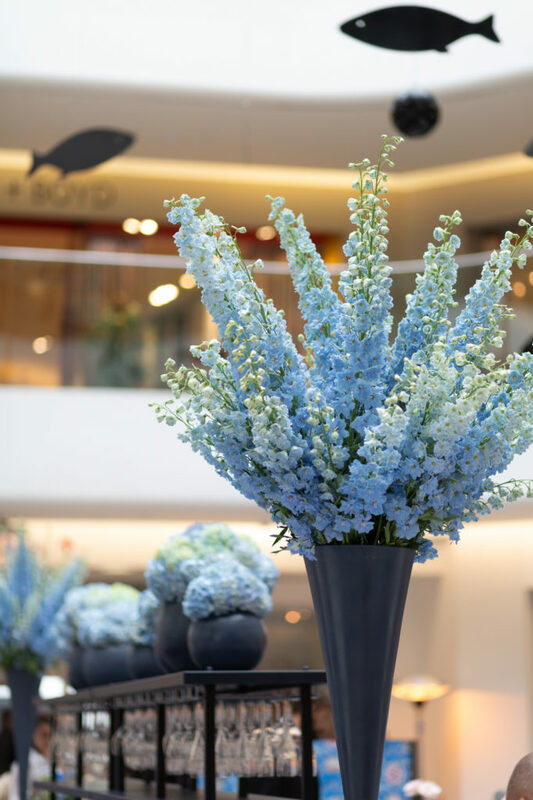 This season the Design Centre’s creative team has been working hard to present the abundance of inspiration on offer. 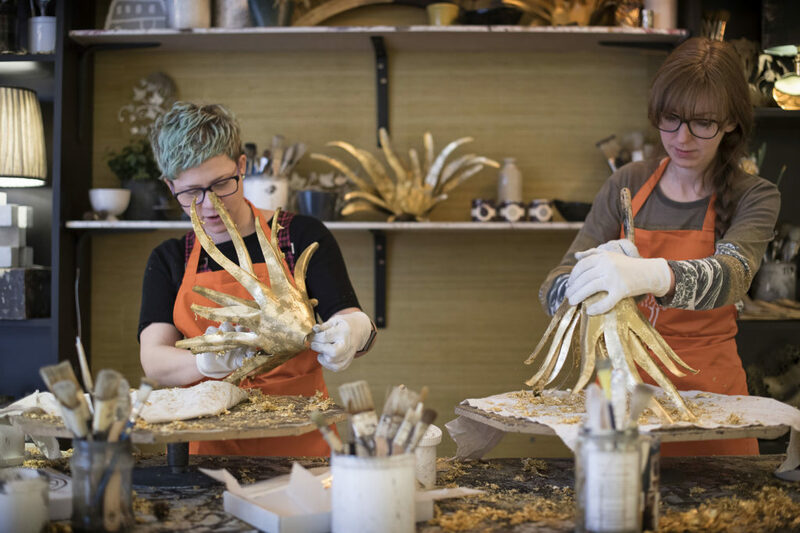 Specially commissioned pop-up restaurants for London Design Week 2019 encouraged visitors to take in the seasons’ emerging design directions. 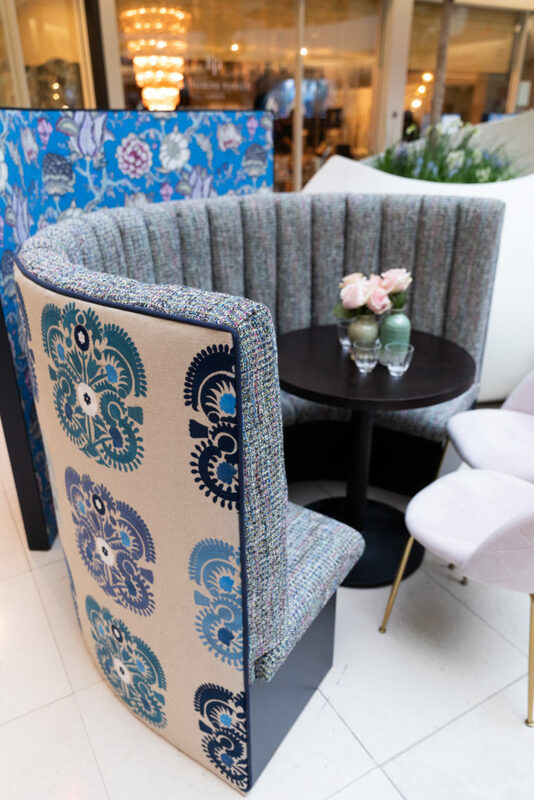 In the FT How to Spend It Restaurant, Pierre Frey’s ‘Chandernagor’ wallcovering by Braquenié took centre stage, alongside ‘French Wave B’ wallcovering and ‘Franklin’ border by Adelphi Paper Hangings from Tissus d’Hélène. The ‘Salone’ fabric by Zimmer + Rohde, ‘Mona’ fabric by Manuel Canovas at Colefax and Fowler, ‘Positano’ cord from Samuel & Sons and ‘Night Fishing’ paint from Sanderson at Style Library completed the scheme. Zimmer + Rohde’s new ‘Wonderland Wall’ wallcovering sums up the energetic mood pervading interiors. 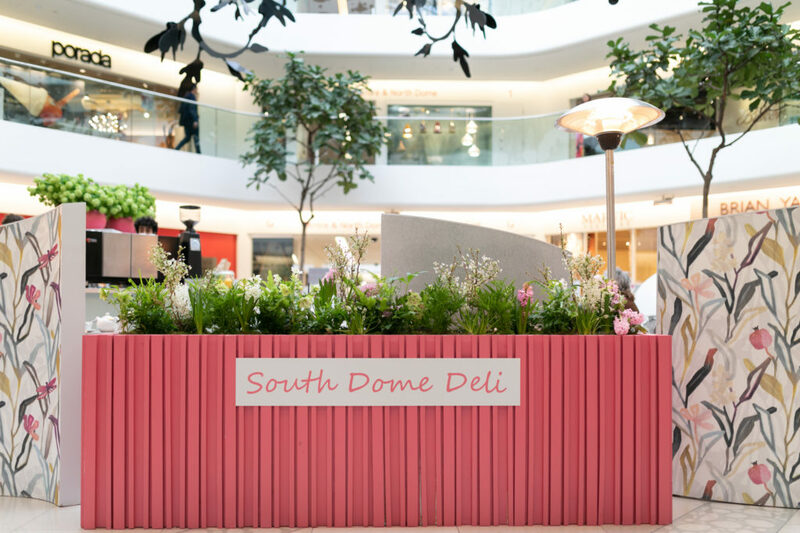 It was shown to great effect on the walls of the South Dome Deli which also featured ‘Strata’ and ‘Mazuri’ wallcoverings from Arte, alongside ‘Quartz Quarter Grey’ by Zoffany and ‘Rhodera’ paints by Sanderson at Style Library. 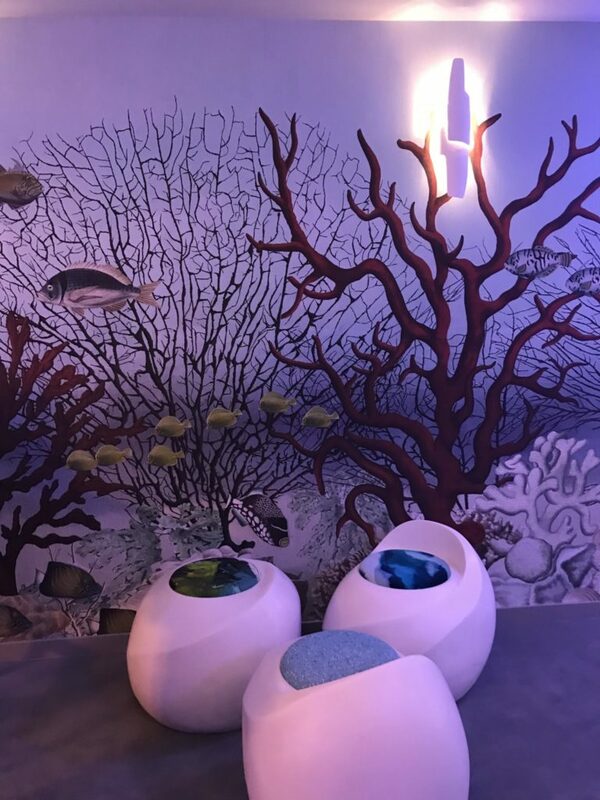 In the Design Hub, the link between the domes and Design Centre East, Iksel – Decorative Arts’ latest scenic wallcovering ‘D-Ocean’ transported visitors to a fantasy underwater landscape. 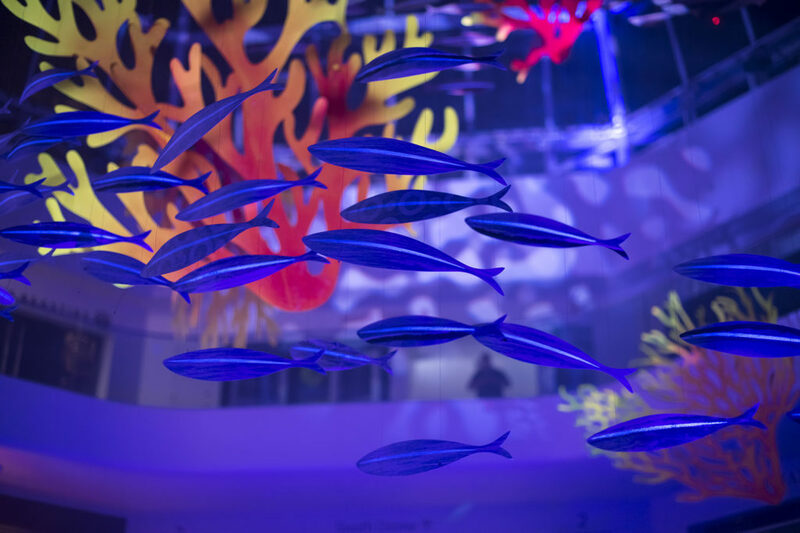 Filled with shells and fish with coral were as tall as trees, the design took 15 artists about eight months to complete and a further two months to join together digitally. 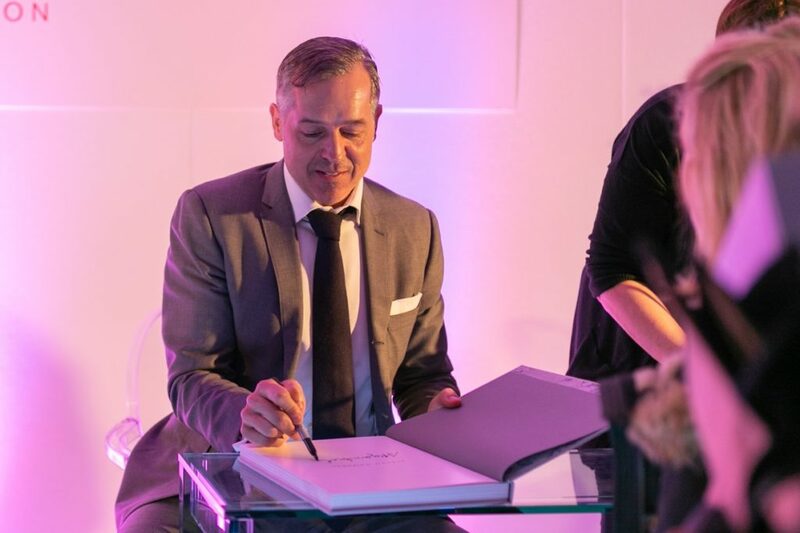 Backhausen’s revival of textiles by Viennese artist and designer Koloman Moser (available at Colony) was honoured with The World of Interiors Showstopper award at London Design Week 2019. 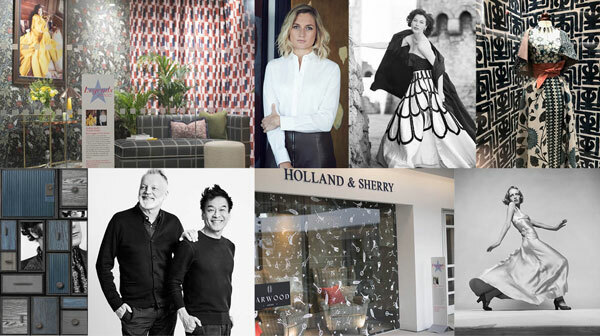 Four further designs won Highly Commended awards: ‘Natsuki’ fabric by Prelle, from Alton-Brooke, Samuel & Sons’ Amalfi trimmings; Arteriors’ collaboration with US designer Celerie Kemble; and interior designer Alidad’s rugs for Tim Page Carpets. Editor Rupert Thomas personally gave out the awards. 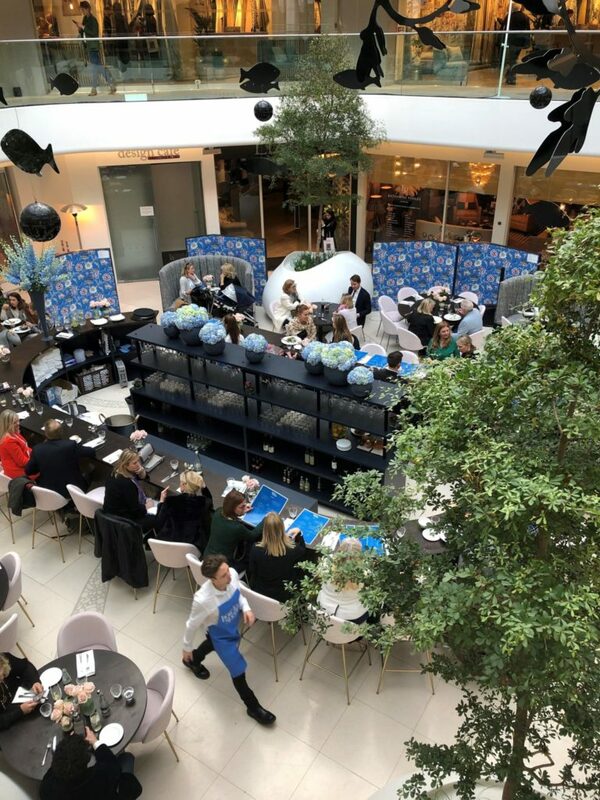 Tatler‘s fashion market editor Olivia Bennett hand-picked 20 products for London Design Week 2019. From baths to pendants, fabrics to tiles, they were “chosen for their innovative use of colour, design, and above all else, expert craftsmanship”. 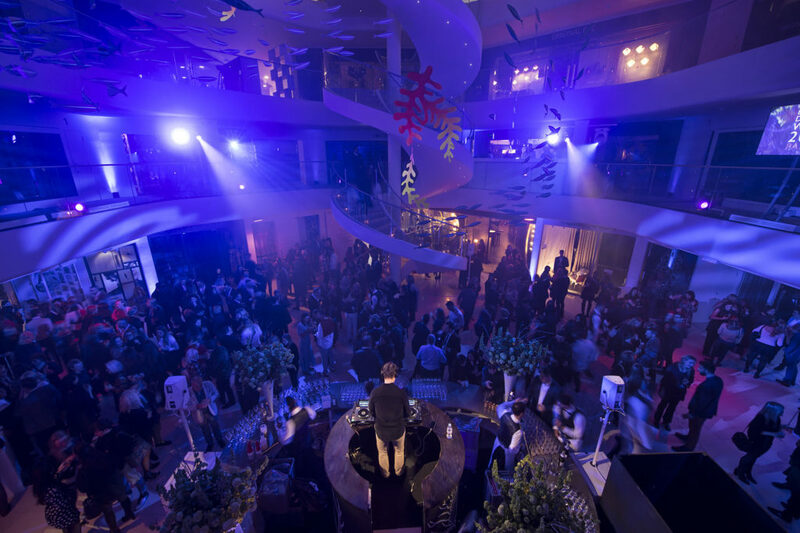 Showrooms proudly displayed their Tatler Loves swing tags throughout the event. 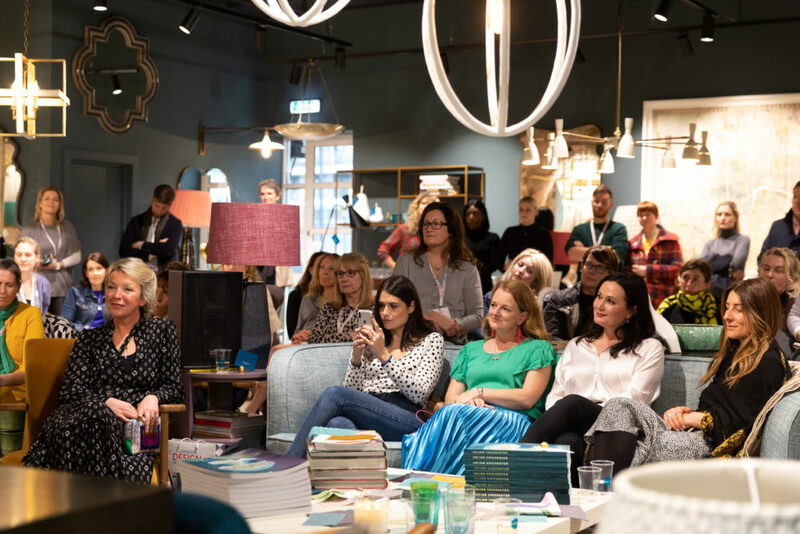 It is no coincidence that the digital age has had such a positive impact on the interior design community. 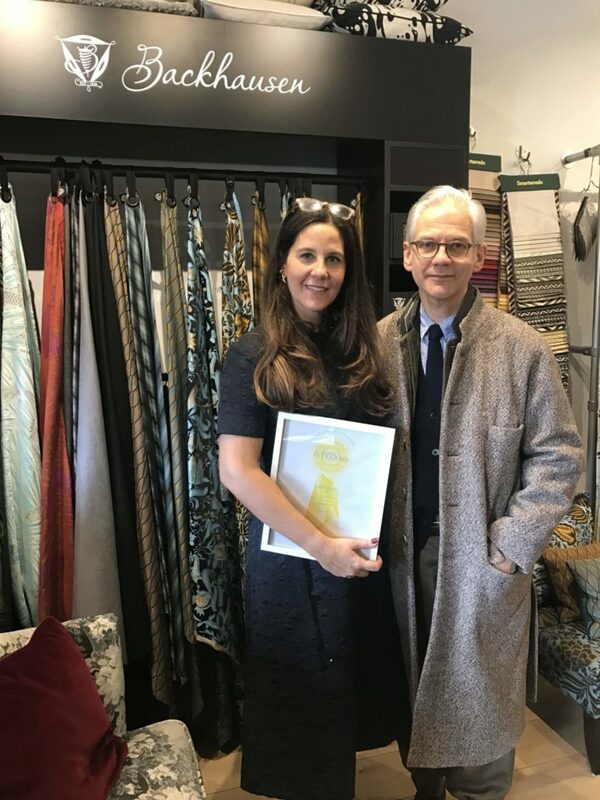 At London Design Week 2019 a new Instagram award recognised Alabama-based design studio @circainteriors for its stylish snapshot of the show. The ‘Legends’ windows and showcases were the perfect focus for social media, and visitors used the over-sized selfie frame to capture the moment. A post by interior designer @sadiaaltaf10 received the most ‘likes’ and received a prize.